The Free Sea: The American Fight for Freedom of Navigation. James Kraska & Raul Pedrozo. Annapolis, MD: Naval Institute Press, 2018. 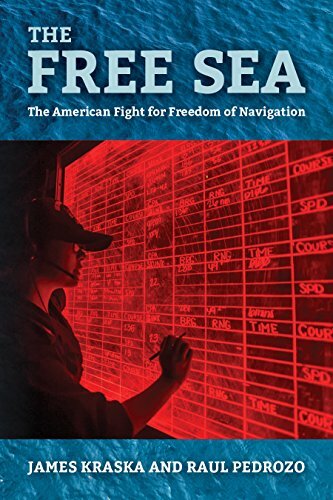 When one picks up The Free Sea: The American Fight for Freedom of Navigation by James Kraska and Raul Pedrozo, they will soon find themselves asking if this book is a diplomatic history, a history of the merchant marine, a naval history, or a political history. The Free Sea is, in fact, all of these. From the Quasi-War between the United States and France France to China’s recent harassment of U.S. naval vessels in the South China sea, Kraska and Pedrozo highlight the United States Navy’s two-century struggle to protect the right to free navigation. In highlighting the Navy’s challenges, Kraska and Pedrozo complicate the narrative that the United States Navy is the most powerful maritime force in the world. Instead, The Free Sea depicts a more realistic and accurate image of the United States as an assertive-but-equal, and sometimes vulnerable, maritime player. 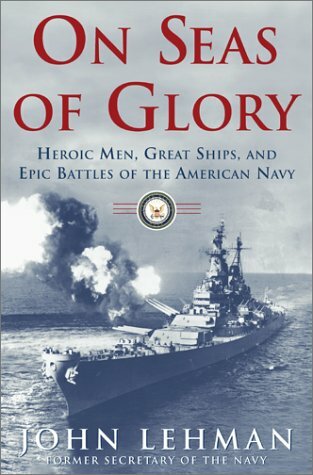 Unlike previous accounts relating the history of the United States Navy—Ian Toll’s Six Frigates, George C. Daughan’s 1812: The Navy’s War, and Paul E. Pedisich’s Congress Buys a Navy, for example—Kraska and Pedrozo offer a different interpretation, steeping their argument as a fight for freedom of navigation. This is not necessarily a novel argument; it as been implicitly understood in narratives of the Quasi-war with France, the Barbary pirates, and the War of 1812. The authors’ direct focus on the argument, however, is refreshing. The Free Sea depicts a more realistic and accurate image of the United States as an assertive-but-equal, and sometimes vulnerable, maritime player. Kraska and Pedrozo’s first three chapters offer little more than a synthesis of existing works. Newer scholars will find these chapters useful; they are well organized and packed with information. Well-read scholars, however, will find nothing new in the book’s early going aside from the distinct focus on the freedom of navigation as a frame.The strength of The Free Sea comes in the later chapters. Here Kraska and Pedrozo reinterpret events such as the Gulf of Tonkin incident in terms of freedom of navigation instead of in terms of the Vietnam War. These later chapters also introduce lesser known incidents such as the capture of the S.S. Mayaguez by the Khmer Rouge and the Tanker Wars in the Persian Gulf. Despite these accolades, Kraska and Pedrozo’s narrative has several flaws. The most glaring issue is the 100-year gap between the end of the War of 1812 and the German U-boat warfare in the Atlantic that led to America’s entry into World War I. Although the period lacks a major naval confrontation to illustrate America’s continuing fight for free navigation, the century between the War of 1812 and World War I is crucial to the understanding of that fight. The Monroe Doctrine, for instance, indirectly affected the maritime rights of other nations. Britain tacitly approved of the Monroe Doctrine as it complemented their laissez-faire policy of free trade and their enforcement of sea neutrality. Additionally, the golden age of U.S. shipbuilding prompted Britain to repeal its Navigation Acts in 1849. Britain first passed the Navigation Acts in 1651 when America was still a British colony, impeding the freedom of the seas because they limited America’s ability to trade within the British Empire. Even after winning its independence, trade between the United States and the British Empire had to go through London before it was distributed to other parts of the British Empire. Finally, as Andrew Gibson and Arthur Donovan argue in The Abandoned Ocean, several factors contributed to the shifting focus of American maritime policy. These included a resistance to the emerging technologies of steam and iron, a turn of attention toward the domestic sectionalism, and the “growing reluctance to promote American shipping at public expense” in the U.S. Congress. Abandoning the ocean, the fight for neutrality of the seas moved from a military and political concern to the private worry of business and industry. It is disappointing that Kraska and Pedrozo did not consider the effect of the Monroe Doctrine, the repeal of the Navigation Acts, or the public-private divide of their argument. The gap disrupts the flow of their argument and unevenly divides the narrative into two distinct time periods. There is also an issue with sources. Many of the secondary sources found in the selected bibliography are dated, while many newer accounts do not appear to have been consulted. This leads one to question the accuracy of some of the data. For instance, the authors include a small table of shipping data from 1900. Surely there is a more recent source with this same data that could have been used to verify any revisions to the data discovered in the ensuing century and more. The dated secondary sources do not appear to be so foundational that they could not have been replaced with more recent studies. Of the previously mentioned works in this review, only Ian Toll’s Six Frigates appears in the bibliography. Other more recent secondary sources that might have proved useful include John Lehman’s On Seas of Glory, and Alex Roland, W. Jeffrey Bolster, and Alexander Keyssar’s, The Way of the Ship. Finally, based on the extensive use of military style acronyms, The Free Sea is primarily written for government employees and Navy personnel. While some acronyms are warranted, they should be limited to those that are easily recognizable by all audiences. These might include DoD (Department of Defense), JCS (Joint Chiefs of Staff), and NATO (North Atlantic Treaty Organization). Other acronyms, such as CPA (closest point of approach), IUU (illegal, unregulated, unreported), and OOME (open-ocean missile exercise) seem pointless. They not only confuse the general reader, they also break up the natural flow of the text. Some acronyms took up as much or more space than writing out the phrase. COMSEVENTHFLT (Commander, U.S. Seventh Fleet) is one such example. These issues aside, The Free Sea is a well-researched, well-argued, and well-written book. Kraska and Pedrozo are to be commended for their effort. James Risk earned his Ph.D. in the History of Science and Technology from the University of South Carolina where he is currently an Instructor in the History Department. His research focuses on United States navigational science in the early nineteenth century. For more information on the S. S. Mayaguez incident, please see Ralph Wetterhahn, The Last Battle: The Mayaguez Incident and the End of the Vietnam War, (New York: Carroll & Graf Publishers, Inc., 2001). For more information on the Tanker Wars, see Martin S. Navias and E. R. Hooton, Tanker Wars:The Assault on Merchant Shipping during the Iran-Iraq Crisis, 1980 - 1988, (London: I. B. Tauris & Co. LTD, 1996). Andrew Gibson and Arthur Donovan, The Abandoned Ocean: A History of United States Maritime Policy, (Columbia, SC: University of South Carolina Press, 2000), 53. James Kraska & Raul Pedrozo, The Free Sea: The American Fight for Freedom of Navigation (Annapolis, MD: Naval Institute Press, 2018), 55.